Altoona is a city known for its vast railroading history. 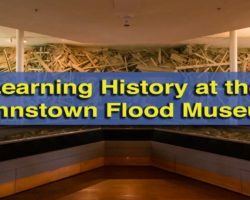 And, while there are several great places in the city to learn about this aspect of the region’s history, there are few places to learn about the other historically important aspects of life in the region. Fortunately for those interested, the Baker Mansion, home of the Blair County Historical Society, does an excellent job telling this history. The Baker Mansion was built between 1845 and 1849 by Elias Baker. Baker and his family had moved to the area from Lancaster in 1836 to operate the Allegheny Furnace. As their iron-making operations expanded, Baker decided to have a modern home built for his family. While the falling cost of iron pushed Baker to the brink of bankruptcy, he was able to finally finish the home, which was one of the finest in the city. The Baker Mansion was a private home until 1914, and after being used periodically for a few years, it became the home of the Blair County Historical Society in 1922. Over the years, the home changed little. However, in the last 1.5 years, there has been a major push to both restore the home to its original condition and improve the quality of the displays. The beautiful maintained Baker Mansion. The goal with the restoration is to make much of the home feel like the Bakers have just left, and much of the downstairs area has been meticulously restored and is filled with furniture owned by Elias Baker and his family. After departing from the gift shop, which is located in a small building near the rear of the property, tours are lead through the first floor of the home. 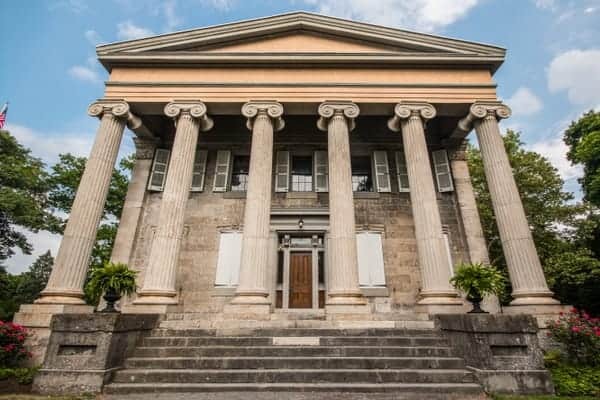 Because of the attention to detail given to the first-floor restoration, tour guides are able to discuss what life was like for the Baker family and other wealthy families in mid-19th century Altoona. 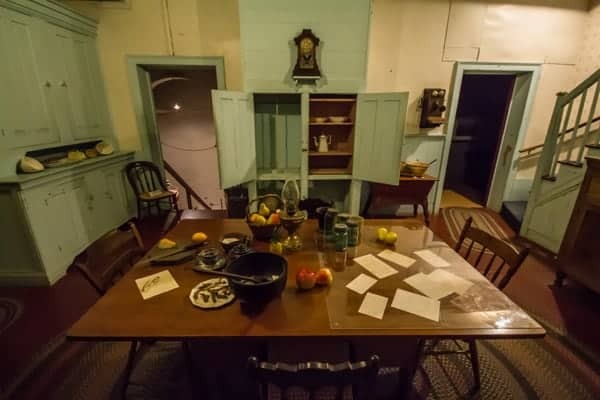 Visitors pass through the home’s two parlors, dining room, and Elias Baker’s office. The office contains all of the financial records from Baker’s Allegheny Furnace. It also features a beautiful desk and Baker’s chair. The desk chair is one of two known to still exist in the world, with the other owned by the Smithsonian. 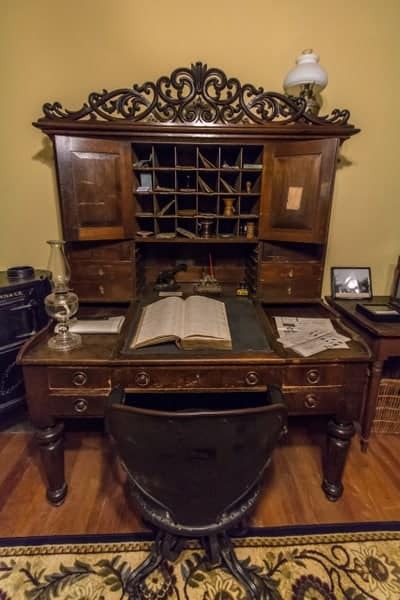 Elias Baker’s office features some of the family’s personal furniture. Tours then continue into the home’s basement. The basement features the home’s kitchen, which still has the original dumbwaiter to pass food up to the dining room directly overhead. The basement is also home to some of the museum’s exhibits on life in Blair County. During my visit, there was information about the local iron industry and an exhibit on trolley transportation in Altoona. 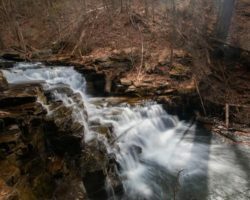 This area does change from time to time, and some restoration work is planned for this area, meaning that it may cover different aspects of Blair County history in the future. The restored kitchen in the basement of the Baker Mansion. The home’s second floor has some furniture that belonged to the Bakers but primarily focuses on Blair County history. 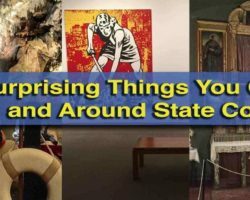 The exhibits here are very well done and each cover different aspects of life in the region such as military history, local breweries, and even a local department store. The display on World War I is especially well done and offers a great glimpse at the quality of displays that will occupy the few rooms that are still under restoration (which should be completed by early 2017). 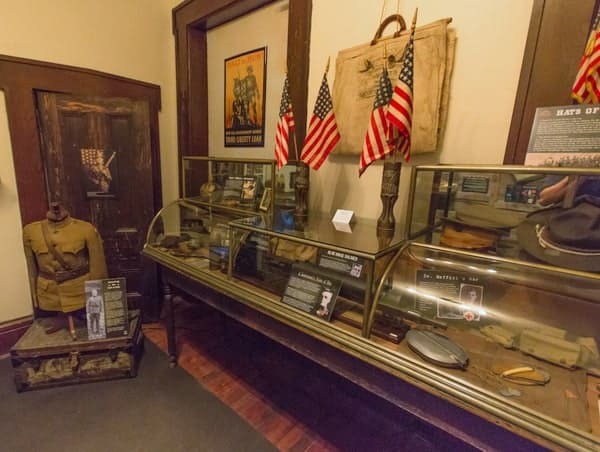 A display of World War I memorabilia. 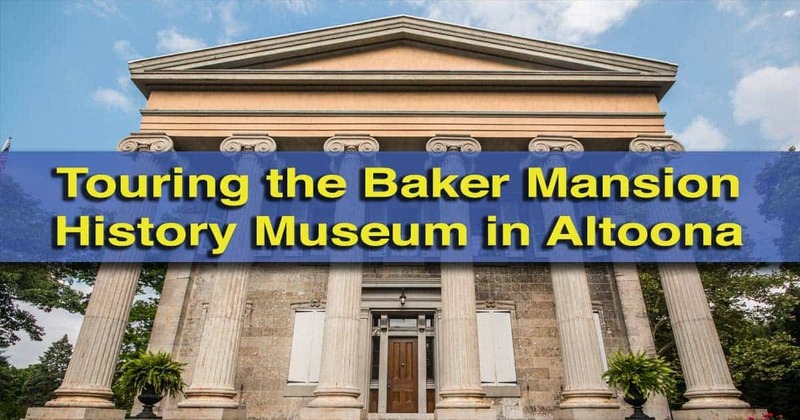 The Baker Mansion History Museum in Altoona does a great job of covering local history and what life was like in the region during the 19th century. 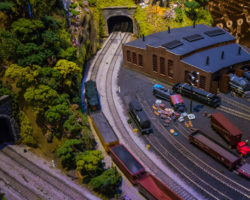 If you are looking for information on the area’s rich railroad history, you won’t find much and would be better off visiting Altoona’s Railroaders Memorial Museum. However, if you want to learn about everyday life in Blair County, the Baker Mansion is a great choice. Note: My visit to the Baker Mansion History Museum was hosted by the museum. However, the opinions expressed are my own. 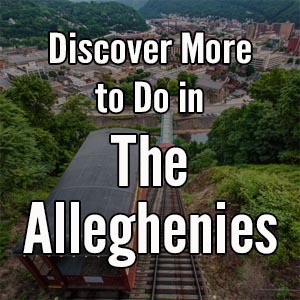 Check out all of our favorite things to do in Altoona, PA.
Tours offered by appointment at other times.